The Philadelphia 76ers have announced there is "no timetable" for rookie Zhaire Smith's return following complications from an allergic reaction. Smith - who was selected by the Phoenix Suns with the 16th pick in the draft, then traded to Philadelphia for Mikal Bridges - is yet to make an appearance in the NBA. Already sidelined until December after having surgery to repair a fracture in his left foot, the 19-year-old suffered a food-related allergy in September and required a thoracoscopy, a surgical procedure where a camera is inserted into the chest through a small incision. He has since undergone further allergy tests but the 76ers are still unsure exactly when he will be ready to play, with media reports suggesting it will not be before the end of 2018. 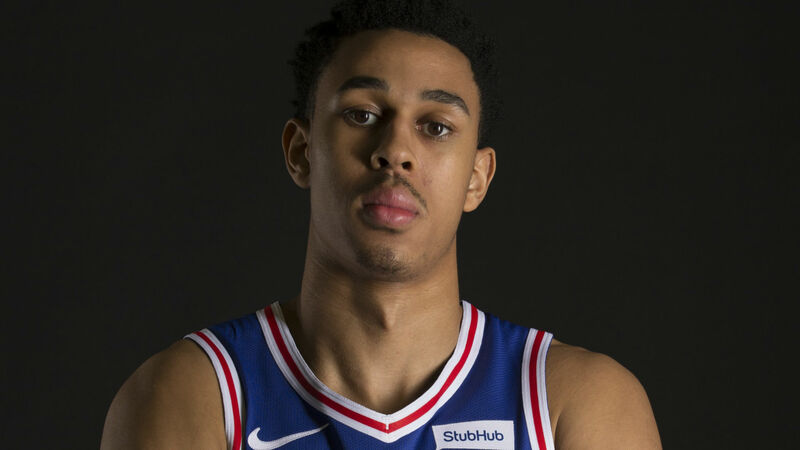 "Zhaire Smith is recovering well after receiving additional medical treatment for complications derived from the allergic reaction that initially required a thoracoscopy," a statement from Daniel Medina - vice president of athlete care for the team - read. "His return to athletic training has yet to be determined and as such, there is no timetable for his return to play."